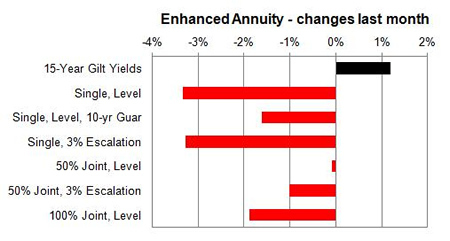 UK annuity rates have been reduced ahead of the Solvency 2 legislation even though the 15-year gilt yields end the month higher. Solvency 2 legislation introduced from 1 January 2016 has seen providers reduce annuity rates for the month of December by over 2.0% leaving some scope for increases if gilt yields do not decrease in 2016. 15-year gilt yields increased by 12 basis points in a volatile month as the Federal Reserve increases interest rates by 0.25% after the record low of 0%. Standard providers lowered rates by 2.18% and we would expect to see annuities rise by a further 3.37% in the long term. 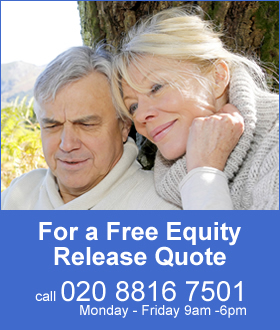 Smoker and enhanced annuity providers decreased their rates by 2.19% on average and in the long term rates may rise by 3.39%. The majority of rates reduced with 14% rising, 0% remaining unchanged and 85% decreasing. 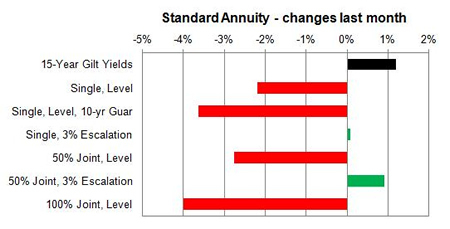 The majority of standard annuities reduced by up to 5.1% during the month except for single life rates aged 75 and 50% joint with 3% escalation rising about 3% in the month. For enhanced and smoker providers rates decreased by up to 5.1% and this is the sixth consecutive month of decreases. The providers have reduced their rates as Solvency 2 legislation started from 1 January 2016.